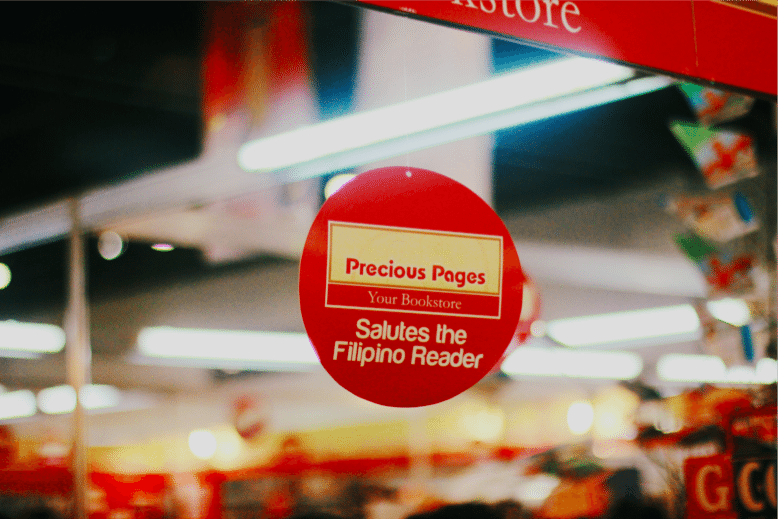 Today, I attended the 34th Manila International Book Fair! 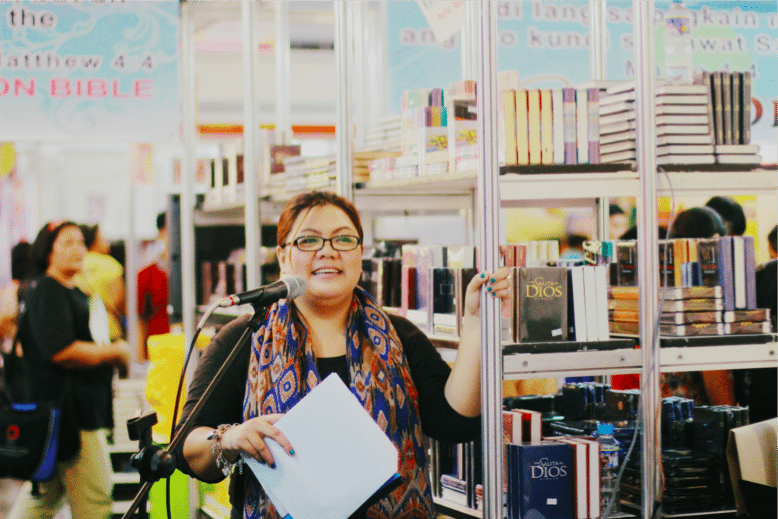 Since it’s my second time to take part in MIBF, I decided to share my wisdom (Ha!) 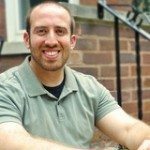 on how you can make your experience an enjoyable one! 1. Be prepared for the madness. » Ticket/s – You’ll need these to enter! 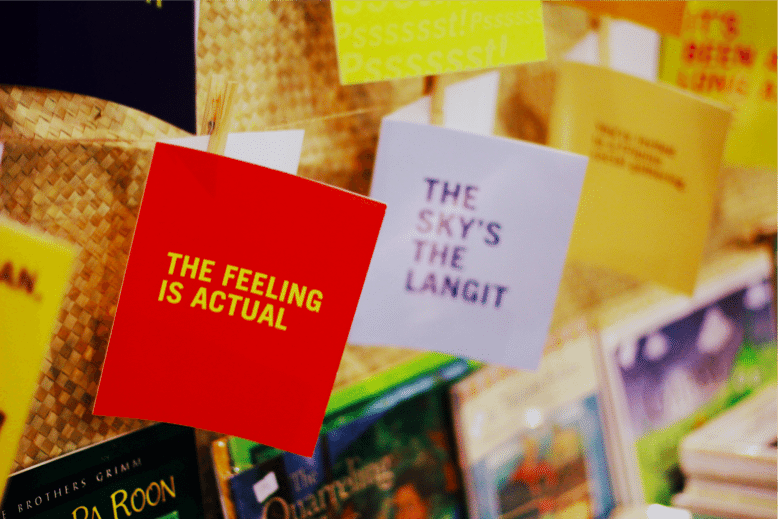 If you haven’t gotten one from your local bookstore, Adarna House is giving away free tickets! You just have to print this sheet and you’re ready to go! 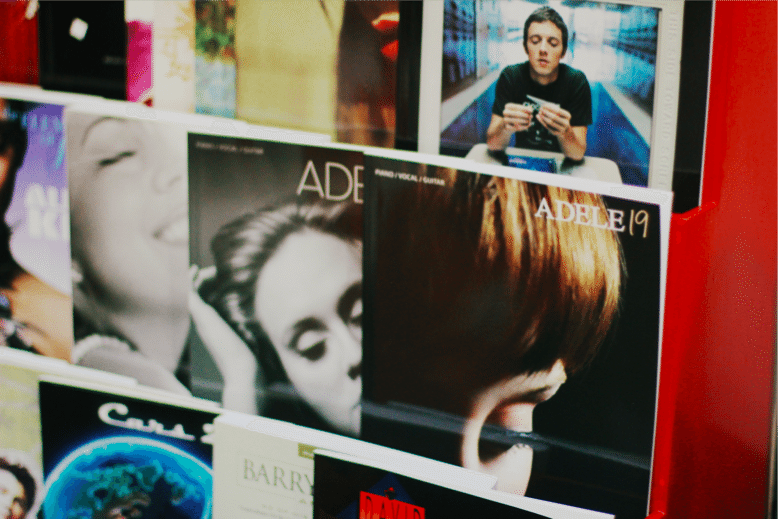 » Money – How else are you going to buy all the awesome books? 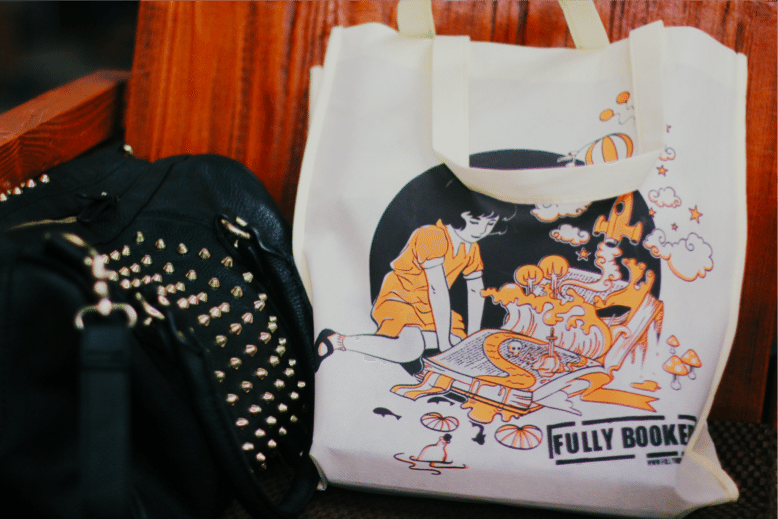 » Tote Bag – If you’re planning to hoard books, you’ll need a spare tote bag to stack your goodies in. Most shops use paper bags for purchases and trust me, you do not want to experience having your books fall to the floor in the middle of an isle full of people when your paper bag gets torn. (This totally happened to me and it was downright embarrassing.) If not, bring one regardless cos you most likely will not be able to control your *grabby hands* and still end up hoarding books anyway. » Shoes – Unless you want to have achy feet, make sure you wear comfortable shoes. » List of books you want to buy – I strongly suggest you write a list of books, especially if you’re looking to buy specific titles. It’s easy to forget which you actually want when you’re around so many books. If you’re armed with these, you are very much ready for a productive MIBF! But if you’re aiming for something more than just productive, if you want to make it fun, do read on. When you get past those MIBF doors, it’s pretty much impossible not to go insane! I mean, you’re practically in a sea of books! SO GO DIVE IN! Unleash your inner book geek! Sniff all those paperbacks and hardbacks! Run around like a mad person with your arms raised and your tongue out! (Okay don’t do that. The authorities probably won’t like it.) But seriously, just go crazy! Isn’t that what you came for? If it isn’t, shop anyway! It’s your opportunity to score discounted books! Grab a basket or a trolley and go buy the books you want, need and crave! 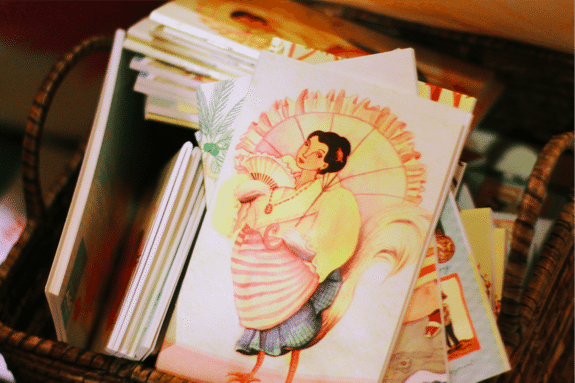 Aside from the variety of books available, you can buy other stuff- maps, sheet music, bookmarks, pens, notebooks, memo pads, etc! There are so many bargains, deals and offers to choose from! 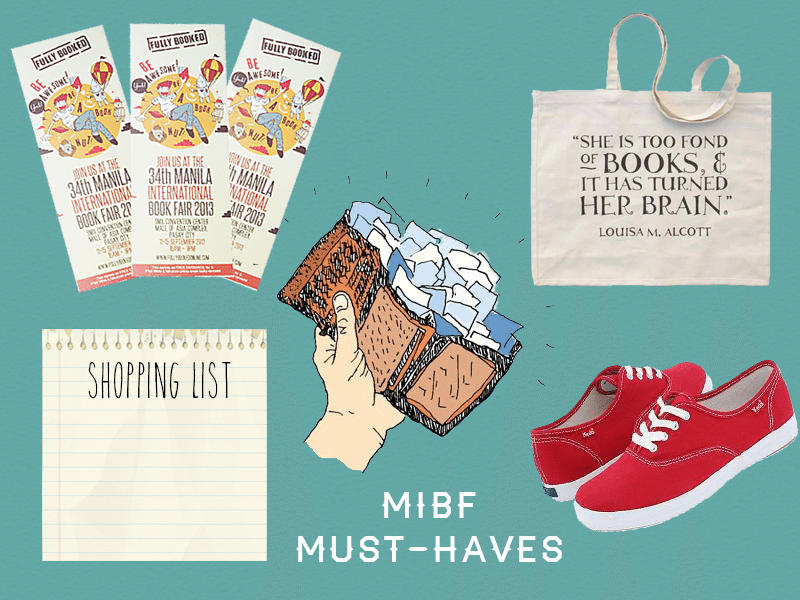 Going to MIBF with your friends in tow is definite way to enjoy MIBF! You’ll be able to swoon over all the book beauties together! they can help you choose what to buy, when you’re unable to decide. Even better, you can ask them to lend you some moolah when you run out (very likely), unless of course they run out of money as well (very likely too). But hey, you guys can get broke together! Totally fun! 5. Walk around and explore! SMX is huge and you’ll definitely need some intense walking skills to survive and find some goodies. (Look at the bright side- you’re getting some exercise.) 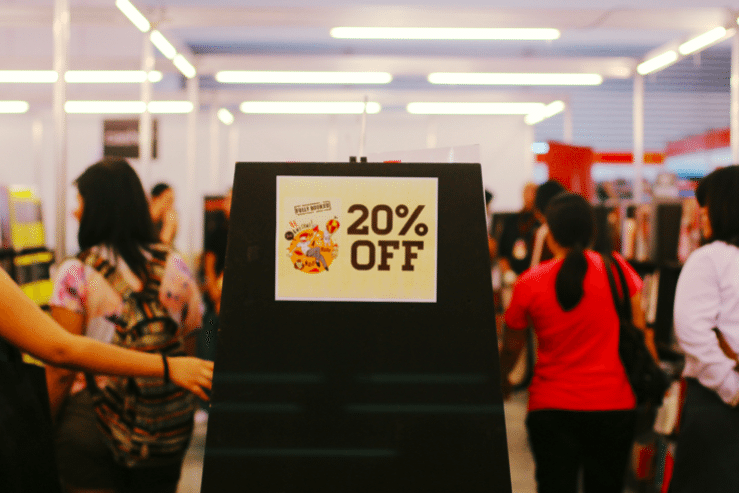 Make sure to explore MIBF. I suggest you try and visit most, if not all, the booths. But there are so many and the possibility of getting lost is very high. Check out the MIBF floor plan so you can find your way! We all love freebies, don’t we? I suggest you watch out for giveaways. There are also contests and raffles for everyone. Test out your luck and join! As much as the MIBF is awesome, it’s just as exhausting. If you get tired from all the book hunting, you can a.) Just stop for awhile b.) 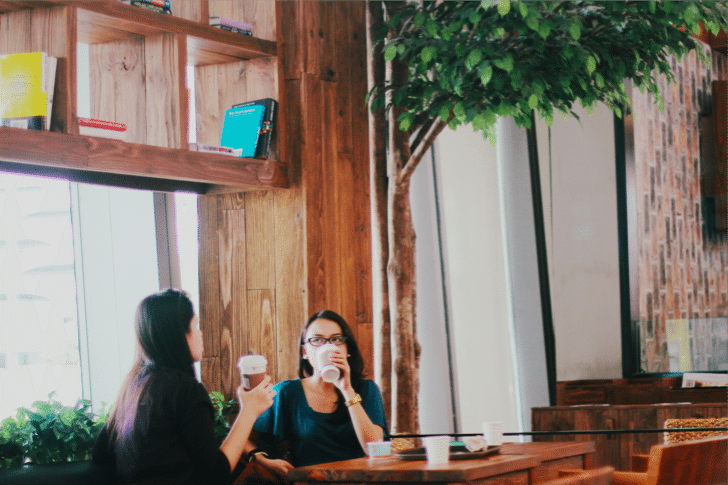 Go outside and breathe some fresh air c.) Go to MOA- which is beside SMX- find a place to settle down or maybe eat. 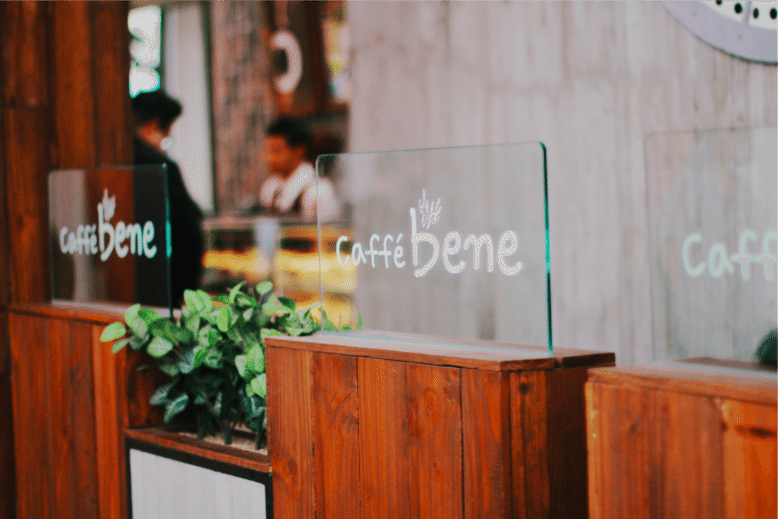 d.) Go relax at Caffe Bene! I’m glad I stumbled upon the latter. I was so worn out from all the walking and I was already so hungry! Caffe Bene’s menu is a little pricey but it was nice to sit down and chill for a while. 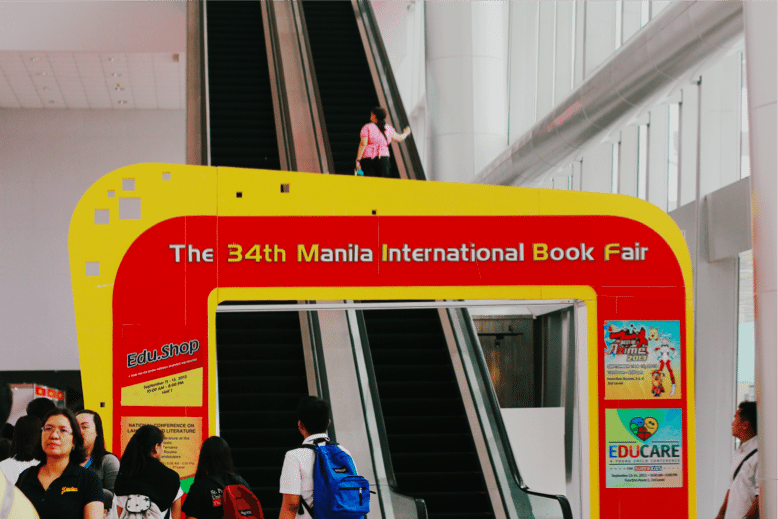 MIBF has so many events in store for us bookworms! Storytelling sessions, poetry readings, book launches, literary awards, and book signings! 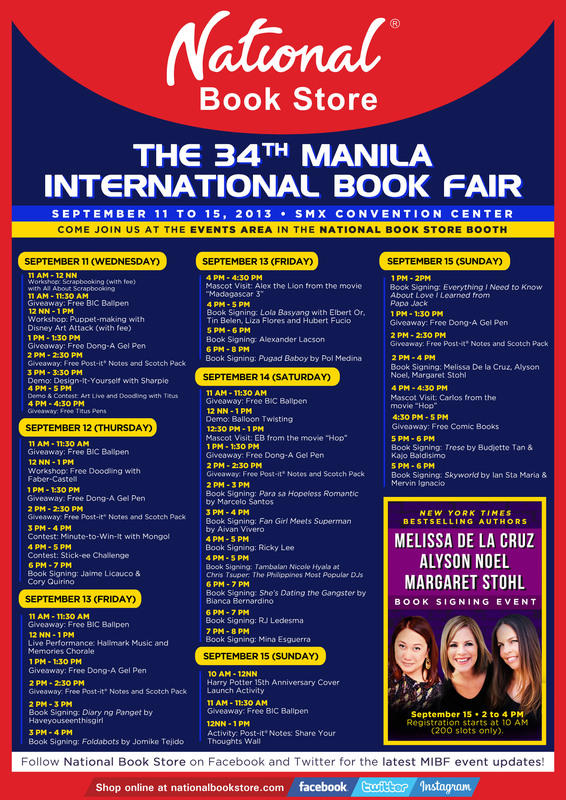 Check out the MIBF schedule of events here! For NBS events, click the photo below! Note: I am not affiliated with MIBF or any of the shops mentioned above. 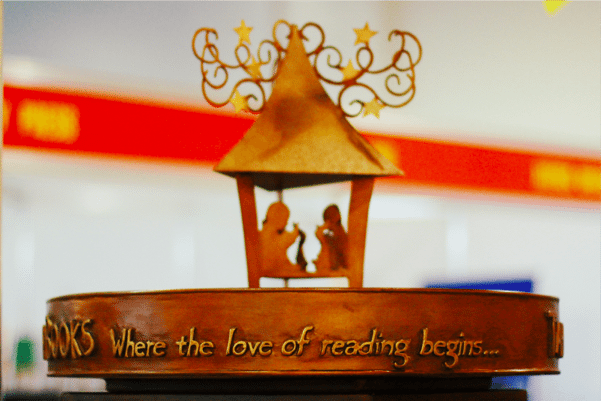 Will you be attending this year’s MIBF? Have you attended before? What goodies did you get? Did you find yourself some new friends? Tell me about your experience! 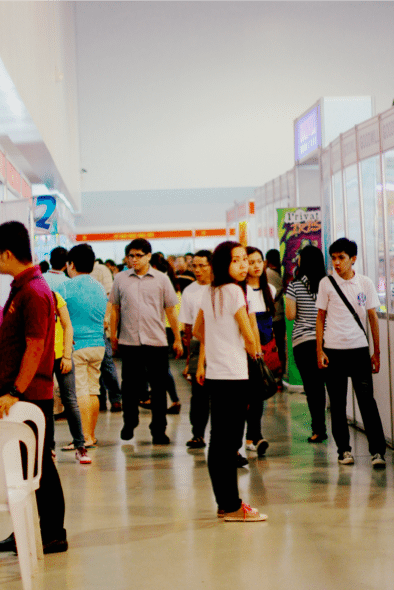 Or is it your first time to attend the MIBF? What are you mostly looking forward to? Was this post helpful? Do tell! 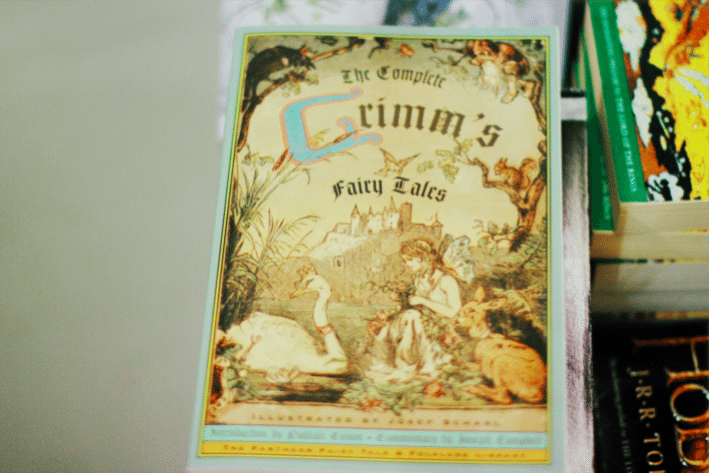 Watch out for my MIBF book haul post later! 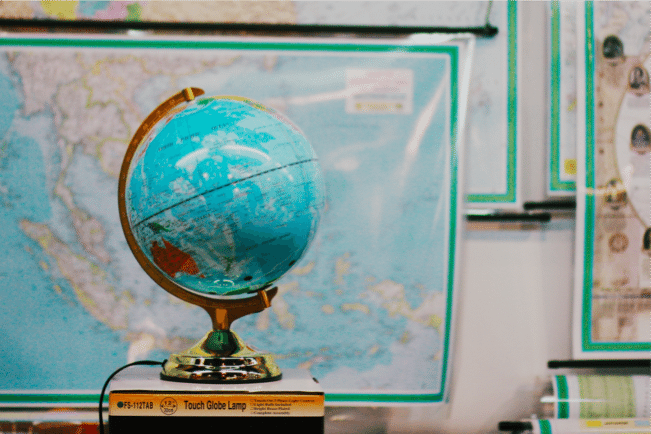 While I am not attending MIBF (nor do I live in the Philippines), but I am going to a big book festival soon, so this list was especially helpful! I really liked tip number one. I hadn’t thought of making a list of books I wanted to buy, but now I will! That is such a great idea. It definitely sounds like you had fun! I can’t wait to see your book haul! 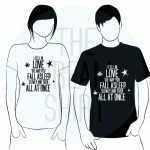 Times like this I REALLY wish I lived in the Philippines! I know there’ve been some cool author signings there — and a couple more coming up, if I’m not mistaken — so it makes me so sad that I can’t go, because where I live, no one comes. It’s very sad. But still, thanks for these tips! I might be able to use them for book fairs here, if there’re any. P.S. 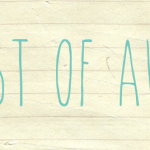 I really, REALLY like your graphic for the “list within the list.” Goshdarnit, I love your whole blog and its design. So pretty! <3 You've got some talent, Hazel! I agree with the above comment, I wish I could attend! 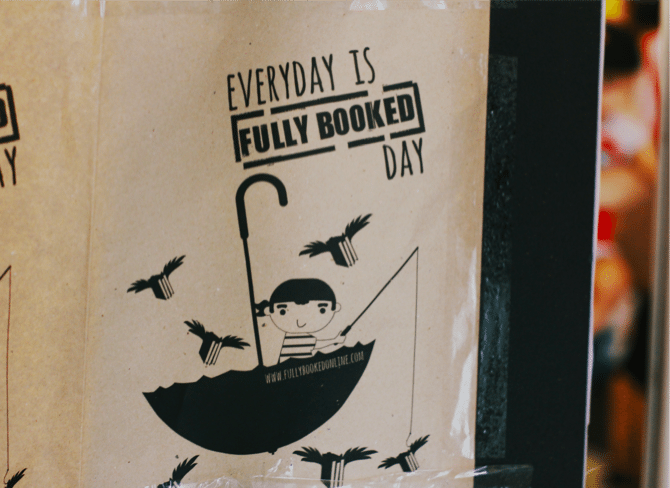 This sounds like the Book Expo of the Philippines :) Awesome tips, I hope everyone has fun there! This looks like a fun time! I don’t know of anything like it near me. I know in the US we have some big book festivals and events, but they’re way too far away for me to attend. This year is actually going to be my first year in MIBF. :) I’m freaking excited o give it a try! :) So thank you so much for the lovely post and tips. I’m sure that I will be enjoying MIBF because of you. I wish there was a book fair like that close to Edi. There’s this big book festival during summer here but it’s mostly with adlt/ scottish writers and the books are as expensive as in any bookstore. Booo. Glad you had fun!